Sudan Ameer Williams is an American rapper and singer. On twitter he claimed to walk tall at "6'3". When your tall, people are mad at you for no reason. Its hella funny. I think he is closer to the 6'4.5-6'5 range. He's taller than 6'3-6'4 guys like G-Eazy and Wiz Khalifa. Eazy's clearly taller than him Click Here about 2cm minus the poor posture. 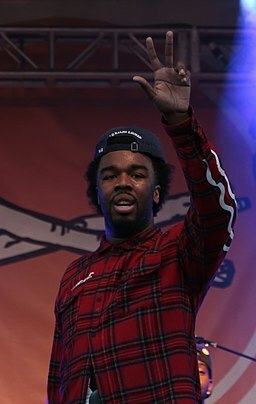 And Iamsu and Wiz looks about the same, both 6ft3 range. 1.91? Wow he is very tall. Good for him. Have not seen a lot of him, but he does seem like a tall guy so I can buy his claim.